Space-heating for our buildings is a major energy use, as we seek to stay warm and comfortable during winter and cool weather. On average in the US, space heating accounts for 29% of residential energy use (the largest single segment), and 14% of commercial buildings. Particularly in northern regions, heating bills are a significant cost. 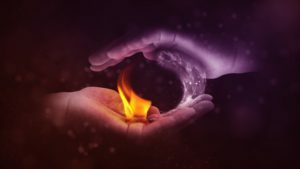 Traditional heating appliances (furnaces, boilers) cannot reach above 100% fuel efficiency, and most of the nation’s “fleet” of these products actually operates well below their efficiency rating. 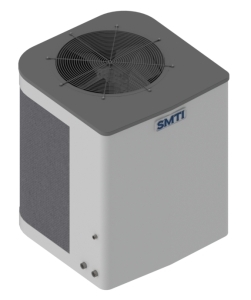 SMTI’s thermally-driven heat pumps can be configured in a wide-variety of ways to heat most homes, and small to medium-sized businesses. It does not matter if your building is heated via forced air, or hydronically using baseboards or in-floor heating. The diagrams below illustrate some of the many ways SMTI’s designs can be configured. 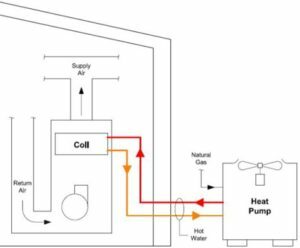 While SMTI also makes stand-alone water-heaters, note the “combi” configuration below. 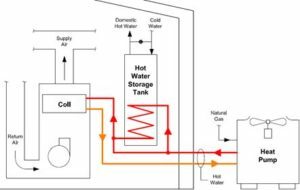 An increasingly popular method is to combine both space and water-heating duties in one unit for more efficiency and lower costs.